The group games were a bit difficult, especially when you're against counter heavy/controlling decks. Found myself needing more card draw/tutoring. And that doesn't at all justify anything yet. I still need more gameplay. I did miss some land drops in two out of those three group games. A turn 5 land drop in one game and a turn 5 and 6 in another game. I think I'm going to keep Gamble and if I can find Grim Tutor for a decent price, add that in as well. Was going to add in cruel tutor over Grim Tutor but tutoring straight to the hand is more beneficial than to the top of the deck. 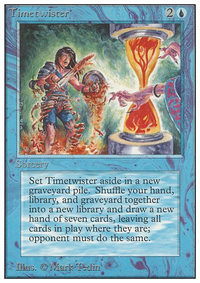 I'm also going to put back in Mausoleum Secrets as I always found myself needing either Reanimate or Animate Dead . I'm also contemplating on replacing Orzhov Signet with Orzhov Cluestone , Mardu Banner or a simple yet affective Commander's Sphere just to take advantage of that card draw if needed. All in the air, I definitely do not have enough game time with the deck yet but I will say one thing, its very fun to play! If you want to optimize this, there is a significant amount of work to be done. I would cut every one of your lands that enter the battlefield tapped; you absolutely need untapped mana on every turn if you want to be sufficiently aggressive. 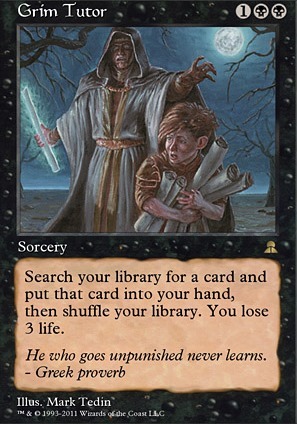 I'd cut Path to Exile for Swords to Plowshares , cut Grim Tutor (it's far worse than, say, Vampiric Tutor here). You're running original duals and shocks, but no fetches (and I'm not convinced that Cabal Coffers fits here). Your curve is very high for an aggressive deck, and I would cut most everything you're running above 4 mana to start with. If you really want to take this deck to the next level then you need all of the fast mana and tutors: Mana Crypt , Mana Vault , Grim Monolith , Mox Diamond , Mox Opal , Chrome Mox , Mox Amber , Talisman of Indulgence , Lotus Petal , Dark Ritual , Cabal Ritual , Pyretic Ritual , Desperate Ritual , Rite of Flame , Culling the Weak , Infernal Plunge , Lake of the Dead , Bubbling Muck , Rain of Filth , Grim Tutor , Imperial Seal , Vampiric Tutor and Diabolic Intent . Since you're already running Kiki-Jiki, Mirror Breaker you might as well add in Zealous Conscripts , Lightning Crafter and Combat Celebrant because they all go infinite with Kiki. 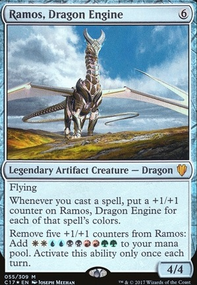 Rakdos is also the color combination you need for Worldgorger Dragon + Dance of the Dead , Animate Dead or Necromancy infinite combo. Use Buried Alive or Entomb to pitch one of the Kiki combos or to pitch the dragon and then use one of the enchantments to start the combo. 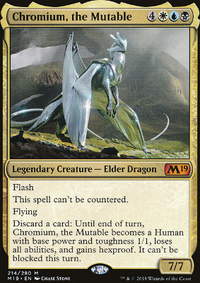 Be sure with Dragon combo to have another creature in the GY or you draw the game with an uninterruptible infinite combo. Other cards that help these combos are Victimize and Final Parting . I completely agree, The importance of automatic card draw is key to any game, drawing through your deck for those win cons. You have an interesting build; I wanted to try it out, So I was putting it together and The only 2 card I didn't have on hand was Doom Whisperer . 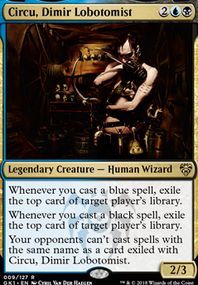 Which is why I mentioned Indulgent Tormentor , I felt it was the only next similar card despite its drawbacks(uncertainty/randomness) and Grim Tutor which I replaced with Diabolic Tutor and threw in an Ancient Tomb to make up for that extra CMC cost it adds. I'm considering taking out Diabolic Tutor and adding in Gamble instead. Still unsure if I'd like to gamble with my hand. The other difference I made was adding Mox Diamond in place of Fellwar Stone . Is having your lands more important, Would it be crucial to discard one? I feel Fellwar Stone is situational, well not situational I guess more of a sideboard card along with Mox Diamond . They Can both be sideboard cards, They can both easily be added in before the game if you're knowing who you're up against. 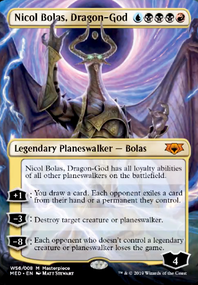 Another consideration I'm thinking was Mishra's Bauble . You mentioned why play 99 commander when you can play 98. Well why play 98 when you can play 97? I know Street Wraith Synergizes with Mausoleum Secrets and Mishra's Bauble doesn't really have any synergy but It gets you that card draw for 0. 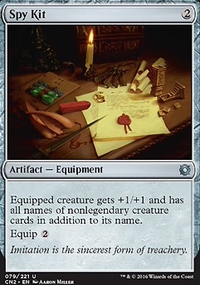 You can sync it with a tutor such as Vampiric Tutor or Imperial Seal . What are your thoughts about that? I appreciate the reply by the way, very detailed and the explanations you give for your reasons, puts it all into perspective.